Manufactured by the Weinbrenner Shoe Company since 1892, Thorogood Work Boots are quality men’s and women's work boots and shoes engineered and built for workplace safety and all-day comfort. A large number of styles are still proundly made in the USA. Thorogood work boots have been in existence for more than 100 years, meeting the needs of hard working men on the job by using high quality components and top notch craftsmanship. To help prevent workplace injuries caused by accidents and hazards, Thorogood work boots come with protective toe cap options. Composite toe boots - excellent protection that is lightweight and can also pass through metal detectors. 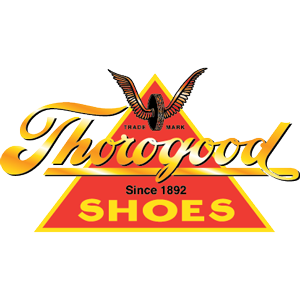 Thorogood boots and shoes for men and women are available from Lehigh CustomFit for a variety of professions!